Happy 127th birthday to the Yosemite National Park. The park was established by an act of congress on October 1, 1890. 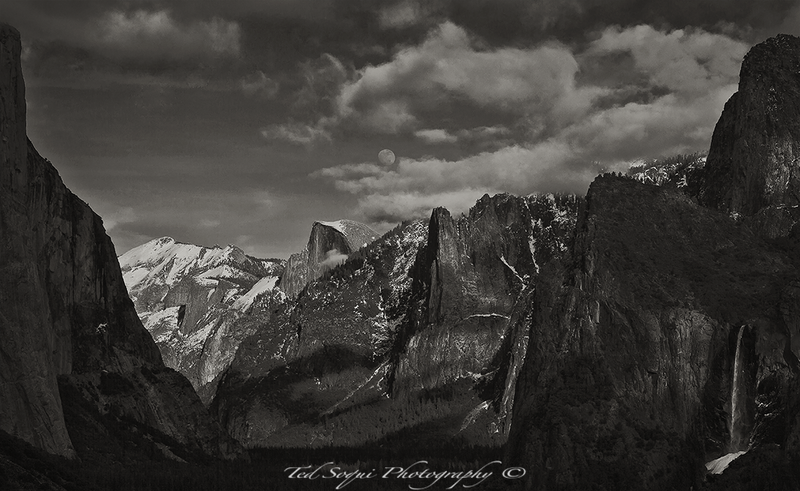 Shot this image at Tunnel View as a moon started to rise over half dome in a cloudy sky.